Canada's oil production will more than double in the next two decades, rising from 3.2 million barrels per day last year to 6.7 million barrels per day by 2030, the Canadian Association of Petroleum Producers said in its annual forecast Wednesday. The oilsands, which are located mainly in Alberta, will account for most of that increase — with production from those sources growing from 1.8 million barrels a day in 2012 to 5.2 million barrels a day by 2030. Production from conventional sources will increase from 1.2 million barrels a day to 1.4 million barrels a day by 2030. Oil from offshore sites in Atlantic Canada will remain roughly unchanged at 200,000 barrels a day as existing sources dry up but new projects, such as ExxonMobil's Hebron and Husky's South White Rose, both oilfields off the coast of Newfoundland and Labrador, go online. 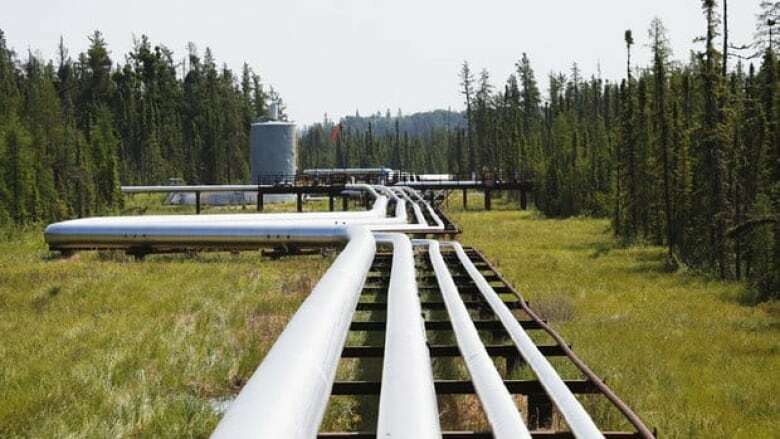 Canada's rising supply will feed a growing appetite for oil at home and abroad, a press release from the Canadian Association of Petroleum Producers (CAPP) said. "Increasing Canadian oil supply is aimed at markets in Eastern Canada, traditional and new markets in the United States (displacing imports from less secure foreign sources) and growing markets in Asia," the release said. This year's forecast is only slightly higher than what was predicted last year, when CAPP forecast a doubling of production by 2030 to 6.2 million barrels a day. The revisions are in part due to improvements in technology that have allowed oil companies to tap formerly "uneconomic" conventional oil resources, "reversing a significant declining production trend over the last decade," CAPP said. But some analysts cautioned industry watchers to take CAPP's projections with a grain of salt. The industry group is often overly optimistic in its projections, said Laura Lau, senior vice-president and senior portfolio manager at the Brompton Group. "With oilsands, I actually would have expected [the forecast] to be lower, not higher," she said. Given the government's recent restrictions on foreign ownership, which limit state-owned foreign companies' stakes in Canadian oilsands ventures to a non-controlling minority, and the difficulty many companies are having finding buyers for their properties, Lau said she has trouble seeing companies acquire the kind of capital they would need to meet CAPP's growth projections. "A lot of companies have been trying to sell their oilsands properties and haven't been able to do it — some are even producing properties," she said. "They haven't been able to sell those — much less ones that are going to be built. "That's why I think it's going to be more difficult on the oilsands side — not easier — to produce more." CAPP's projections also rely on the assumption that Canada's producers will find a way to get their oil off the continent in order to diversify their export markets. "That's the only way they can get to those numbers: more oil pipelines have to be built," Lau said. It could be the contentious Northern Gateway pipeline or the equally fraught Keystone XL or the TransCanada Mainline, but somehow somewhere a pipeline will be built, she said. "We don't know if it's going to the east or west coast," Lau said. "If it goes to the east coast, [the oil] tends to go to Europe; if it's west coast, it tends to go to Asia, but they all get the same oil price, so it doesn't matter, as long as we get it off the continent." The pressure to decrease producers' reliance on the U.S. market has increased as Canada and other oil-producing countries have watched production in the U.S. rise dramatically thanks to the boom in shale oil and gas. More and more companies have been tapping the country's shale deposits through a method known as hydraulic fracturing , or fracking. That has helped oil boost U.S. production to a 20-year high of more than seven million barrels a day and reduced the country's dependence on foreign energy sources. "It hasn't really influenced global oil prices, but it's definitely influenced Canadian oil process," Lau said of the production boom south of the border. The price fluctuations have the potential to influence Canadian oilsands production going forward, she said. "If you have less revenue, you have less money to reinvest," said Lau. "Also, people get a little worried with that kind of volatility because these are very long-term projects, so you're making a bet on oil prices." Last month, the Organization of the Petroleum Exporting Countries, which represents major oil-producing countries outside North America like Saudi Arabia, Nigeria, Iran and Venezuela, said it would keep its production steady at 30 million barrels a day. It disappointed many of its members, which together account for about 40 per cent of global oil production, by not addressing the influence of the shale oil boom in the U.S., which threatens to cut into OPEC's exports.